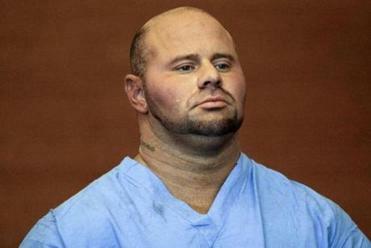 CAMBRIDGE — The families of Jared Remy and Jennifer Martel, the woman he is accused of murdering, have reached an agreement to settle a custody battle over the couple’s 5-year-old daughter, lawyers for both sides said Tuesday. The settlement averted a scheduled trial and ends seven months of state foster care for Arianna Remy, who will live with the Martels. Her paternal grandparents — Red Sox broadcaster Jerry Remy and his wife, Phoebe — will have visitation rights, lawyers said. The Martels declined to address reporters directly, and the Remys also left the Middlesex Probate and Family Court on Tuesday without commenting. The Remys’ lawyer, W. Sanford Durland III, called it a “mutually satisfying” settlement as he walked out of the courtroom with the Remys. After the Remys left, Durland acknowledged that everyone was pleased to avoid a trial but declined to elaborate on how Arianna’s time will be divided. “The child’s being cared for, and she’s a very lucky child to have three families so interested in her welfare,” said Durland, of the Boston firm Schmidt & Federico. Arianna was home when her father allegedly stabbed her mother to death Aug. 15 in an attack that began inside their Waltham townhouse and ended on the patio, police said. The slaying occurred two nights after Remy had been arrested and released after being accused of slamming Martel’s head into a bathroom mirror. Documents filed last month in advance of the murder trial — scheduled for October in Middlesex Superior Court — said that Arianna was physically unharmed that night and that she sat for a recorded interview with investigators the next day. With her mother dead and her father in jail awaiting trial, three families have vied for guardianship — the Remys; Jennifer Martel’s parents, Brian and Patty Martel; and Jennifer’s brother and sister-in-law, Brian Jr. and Andrea Martel. A judge has sealed the paperwork and closed all hearings to the public. The two Martel families and their lawyers presented a unified team outside the courthouse Tuesday but declined to specify which generation of Martels will become Arianna’s guardians. Marsha V. Kazarosian, president-elect of the Massachusetts Bar Association, commended all parties for reaching a settlement that appears to be in the best interests of Arianna. “It takes the child out of the middle, and it also gives respect and deference for both sets of grandparents to understand that whatever happened, [all] of these grandparents obviously are going to love and care for this child,” said Kazarosian, who specializes partly in family law and who is not involved in the case. Martel, killed at 27, was an aspiring teacher and dedicated mother who was thinking about leaving Remy, Martel’s neighbor and close friend, Kristina Hill, and others have told the Globe. Remy was unemployed, had admitted using steroids and had a long history of arrests for violence. Hill has said he had become increasingly irritable and possessive of Martel. Hill said that Jennifer Martel learned in the days before her death that her brother and sister-in-law planned to return to the Boston area after moving away years before for work and that she talked about taking Arianna and finding haven with them and their children. Remy has pleaded not guilty in Martel’s assault and killing and is being held without bail .